The moment we are born into the family of God, we come into the place of grace and blessing. A tiny baby is not a very important person in himself; everything depends on the family he is born into. 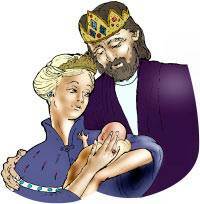 The first son born into the family of a great king is the crown prince. He becomes at once the heir of all the riches and glory of the king himself. As a tiny baby, he has no idea of all the wealth and position that belong to him. Nevertheless, as the king's firstborn son, it all belongs to him. One day he will come into actual possession of the kingdom. So it is with the believer. By his spiritual rebirth, he is a child of God. He becomes at once the heir of all the riches of God. As a new believer he has no idea of all the wealth and privileges that are his, but it all belongs to him the moment he is born into God's family. As we have said before, there are two sides of God's great salvation. One side is our side—what we receive in salvation. The other side is God's side—that which God plans and does for His own pleasure. Do you see the greatness of this? God saved us and called us, not according to our works, but according to His own purpose and grace, which was given to us in Christ Jesus before the world began! God chose us in Christ before the foundation of the world! What an astounding thing that is—that God chose us in Christ before the foundation of the world! We cannot understand this fully, but we can bow our heads and our hearts and worship God for His thoughts of love and grace toward us before the creation of the world. 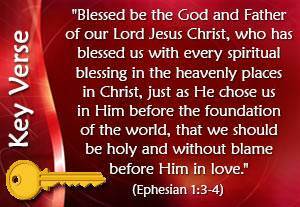 Furthermore, God has blessed us with all spiritual blessings in Christ. Like the tiny son born into the king's family, we have no idea of all the riches and privileges that are ours in Christ. But they belong to us just the same. God has purposed that we should be "holy and without blame before Him in love" as sons, not servants. We might be satisfied to be God's servants forever, but this would not satisfy God's heart. He wants us before Him as sons! Let us consider again the wonderful parable of the prodigal son to learn some new truths about our great salvation. When the son was in "the far country," feeding the hogs, he thought of how his father's servants had plenty of food. He determined to return to his father and to say to him, "Father, I have sinned against God and against you. I am no longer worthy to be called your son. Let me be as one of your servants." Being a hired servant of his father might have satisfied the prodigal son, but this would never have satisfied the father's heart of love for him. When the son returned, the father fell upon his neck and covered him with kisses. At that moment the son knew that he was forgiven and accepted, just as he was. When we come to God as a repenting sinner, God forgives us and accepts us, just as we are in our "rags and dirt." But God does not leaves us that way. He makes us suitable to Himself. The moment we trust Christ as our Saviour, God makes us perfectly righteous in His sight. He puts us in Christ. He gives Christ to us as our righteousness. "The best robe" is Christ! This wonderful "robe" was there from eternity. Before the foundation of the world, God chose us in Christ that we might be "holy and without blame before Him in love." God wants us to understand that He receives us in all the value and infinite blessedness of Christ. We start from a new point altogether. We are new persons in God's new creation, and we are in Christ. When you have Christ as your "best robe," you don't need to think about yourself—how good you are or how bad you are. Christ Himself is your righteousness. Nothing is more important than that we should be consciously clothed in all the blessedness of Christ. The ring in Scripture signifies honour and authority. When the children of Israel were in Egypt, Pharaoh had a dream which greatly troubled him. 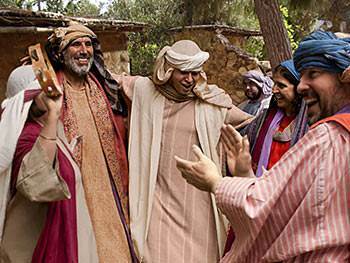 None of Pharaoh's wise men could tell him the meaning of his dream, but Joseph, a Hebrew slave, revealed to Pharaoh the meaning. Joseph told Pharaoh that God had revealed the meaning of the dream to him. 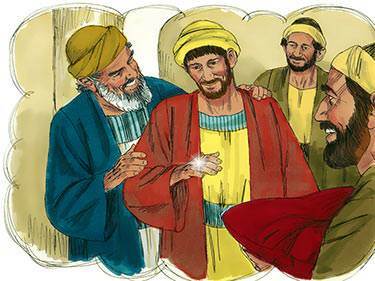 Pharaoh was so impressed with Joseph, that he took off his ring from his hand and put it on Joseph's hand. This meant that he was giving Joseph his authority. Joseph was put in charge, under Pharaoh, of everything in Egypt. We are the sons of God and God has given us "the ring." When Pharaoh gave this ring to Joseph it was as much as to say, "You are to represent me." God has chosen us to be His representatives in this world. Think of the honour that has been bestowed on us—being chosen by God to represent Him! The sandals speak of sonship. Only sons wore sandals in the house; servants were barefoot. What is God saying to us here? He is saying, "You are not before Me as servants but as sons. As you go about your life, I want you to always be conscious of the fact that you are My sons." God has given us the greatest honour and dignity that He can bestow upon us. God wants us to know who we are. 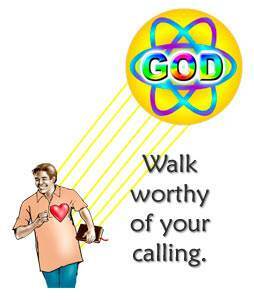 He wants us to walk about this earth in the consciousness that we are the sons of God. The surprising thing about the parable of the prodigal son is that we are not told the secret. The secret is the death of Christ. How can we have the robe, the ring, and the sandals? The death of Christ is the explanation of everything. Why am I received by God as a son? Because Christ died for me. From eternity past it was the purpose and will of God that we should be "holy and without blame before Him in love" as His sons, in all the acceptance and blessedness of His Son, Jesus Christ. God's first man brought forth a family of sinners. What could be more contrary to God's purpose than our condition as children of Adam? The Bible says that we were "foolish, disobedient, deceived, serving divers [various] lusts and pleasures, living in malice and envy, hateful, and hating one another." 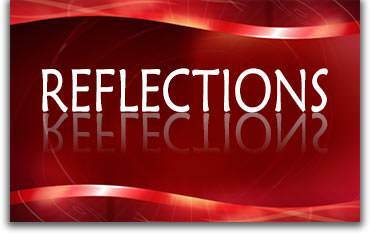 (Titus 3:3) We were separated from God, guilty and under death and judgment as the rightful consequences of our sins. The Bible says that God saved us and called us "according to His own purpose and grace which was given us in Christ Jesus before the world began." What was in the mind of God then has taken form now. Christ has been in the world and dealt with the whole matter of sin by His death on the cross. He has been raised from among the dead to be the Head of God's new creation. The prodigal son was made perfectly suitable to his father. You might say that he was made "holy and without blame before his father in love." The robe, the ring, and the sandals made him conscious that he was entirely suitable to his father. He lived in the consciousness of his father's delight in him. If you had asked him, "What kind of terms are you on with your father since you came back?" he would have said, "I am on the very best of terms with my father. I am an object of delight to him. I enjoy being in his presence, knowing how much I am loved by him." Dear friend, have you realised that, in Christ, you have been reconciled to God? Do you know that you are an object of delight to God? Are you rejoicing in God's great salvation? We are "accepted in the Beloved"
"The Beloved" is Christ Himself. God gives us the same place that He has given to His beloved Son. God accepts us with all the love and delight with which He accepts His own beloved Son. We are "accepted in the Beloved"! God's blessings for those who believe in His Son are beyond anything we could have ever imagined. We are forgiven of all our sins. We are justified—counted righteous in God's sight. We become a new person in Christ. Christ Himself is our righteousness. 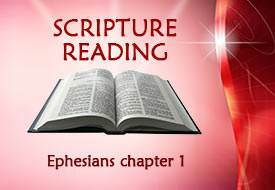 We are in-dwelled by the Holy Spirit. The climax of all that God does for us is sonship. He makes us His son. 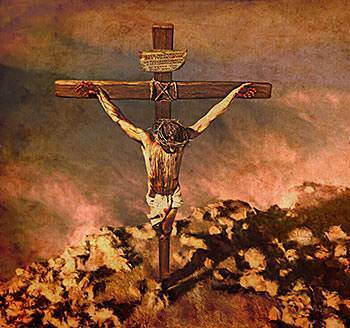 The foundation of all these wonderful blessings is the death of Christ on the cross. We have "redemption through His blood." The blood of this great Person, Christ, has been shed. No price was too great for God to pay to secure what He had set His heart on. 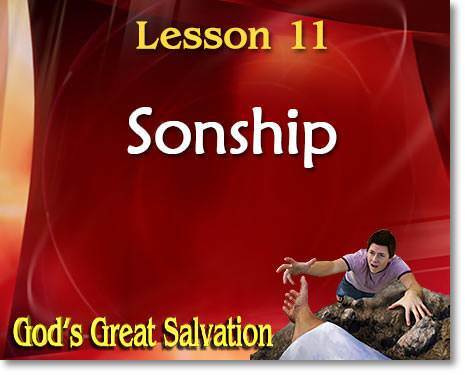 God Himself cannot give us any greater gift than the gift of sonship. Do you know what it means to be a son of God? It means to be the object of God's love. Sonship means that we are called to be companions of Christ in the Father's presence, to enjoy what he enjoys, and to be loved as He is loved. We do not learn the meaning of sonship by looking at ourselves. We do not learn it by looking at other believers. We learn it only by looking at the glorified Christ. Jesus, as a glorified Man in the presence of God, shows us our place of perfect acceptance before God. He is "the Son," but we are sons also, accepted by God in all the perfection of Christ. I may think, "But I am such a poor, weak thing. I don't feel as though I am a son of God." The fact is that I am His son! * For His own pleasure and satisfaction, God has given us sonship. * We are "holy and without blame before Him in love" as sons. With every great privilege we have as believers, there comes responsibilities. God gives us our privilege first; then He tells us about our responsibility. God has given us the place of sonship, and He has given us the Spirit of Christ. All that God can give us is wrapped up in Christ and the Spirit. What is God's purpose in this? His purpose is that of each of us, as His sons, should be the continuation of Christ's life here on earth. We are to tell and show people what God is like.